2014 GreenTrans EM50. Picture credits - GreenTrans. Submit more pictures. 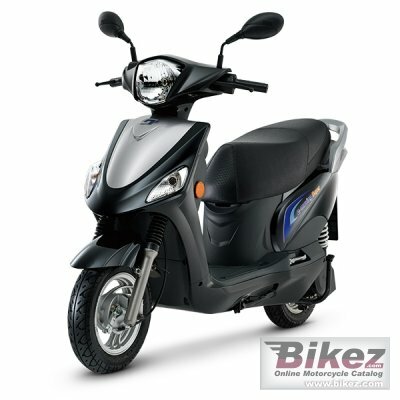 EM50, a retro, compact and streamlined pure electric scooter, gives the easy-moving without any gas pollution and environment burden. Comments: Lithium Iron Phosphate 48V 10Ah battery, 8.5 kg. Range 80 km with dual battery. Recharging time: 2 hours. Made in Taiwan. Ask questions Join the 14 GreenTrans EM50 discussion group or the general GreenTrans discussion group.